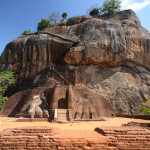 Sigiriya is one of the Sri Lanka’s most unparalleled beauties within which poses tragedy, beauty, grandeur and vision. 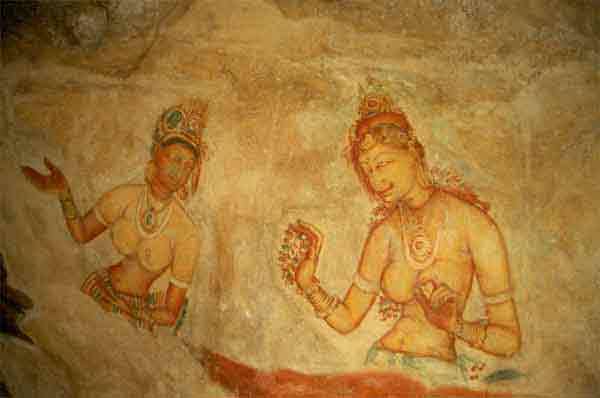 Sigiriya is one of the fewest historical sites with utmost architecture and art that had been faded away for one thousand six hundred years (1600) into oblivion and was forgotten which narrates an interesting tale from the past. Tourists from all over the world get attracted to the breathtaking Sigiriya fortress which is one of the oldest tourist sites. 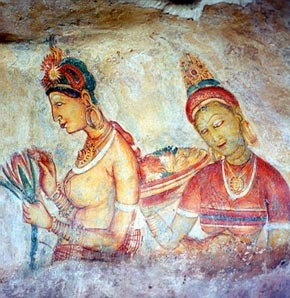 The tale of the Sigiriya begins with the rise of King Kassapa. He who ruled before 1600 years between the period of 477- 495 AD. 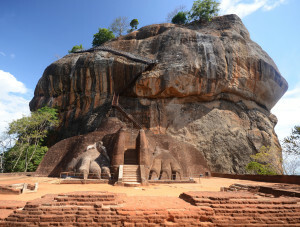 The troubled and visionary king whose Kingdom was in the ancient city of Anuradhapura fled to the wilderness with the unbearable guilt and fear after killing his own father by plastering him to a wall. He established a new Kingdom in a far away forest and converted this large dark rock into a mind blowing palace with beautiful paintings of frescoes of the semi naked nymphs. 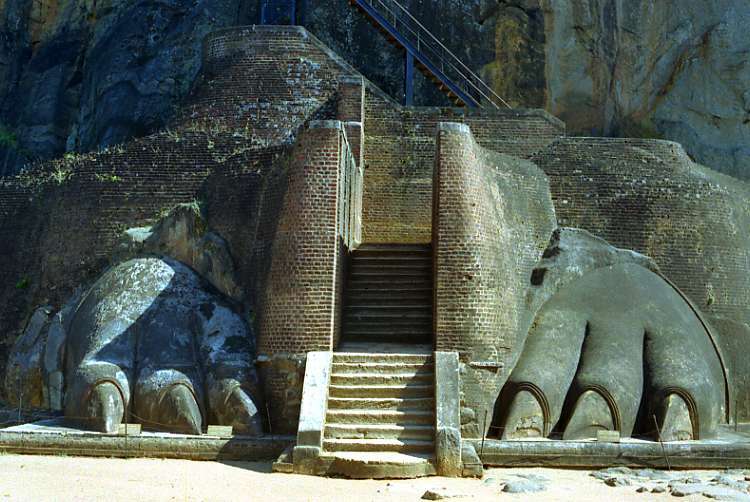 He built a massive gatehouse in the form of a lion to guard the entrance. The sky palace which is on top of the rock was where the king hid himself and lived in isolation with fear and guilt. The King who was tormented with guilt and fear finally committed suicide. 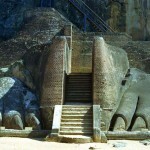 The tale gets interesting as you enter the site and witness one of the famous historical wonders in the world. 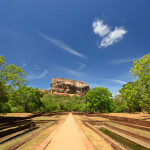 Sigiriya can be thought as one of the largest and a sophisticated ancient single construction project. 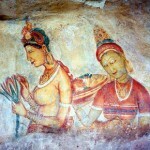 Today, what the Sigiriya rock fortress expose are even less than twenty percent of the structures that graced the area then. The remains of what was constructed with bricks and stones are visibly available as attractions although most of the buildings at the time were wooden. 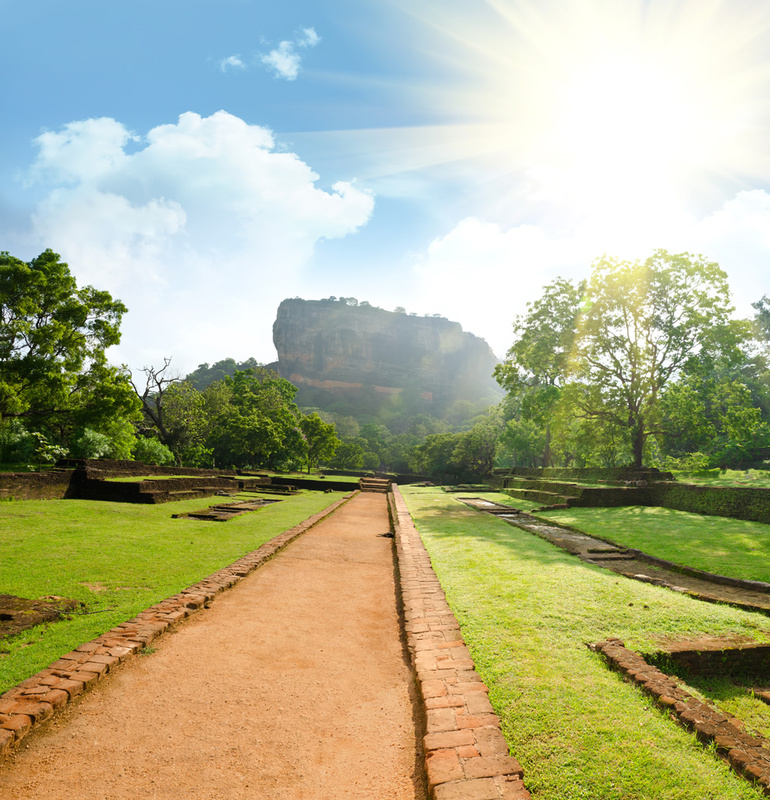 The wilderness around Sigiriya still hides the ruins which are yet to be discovered. 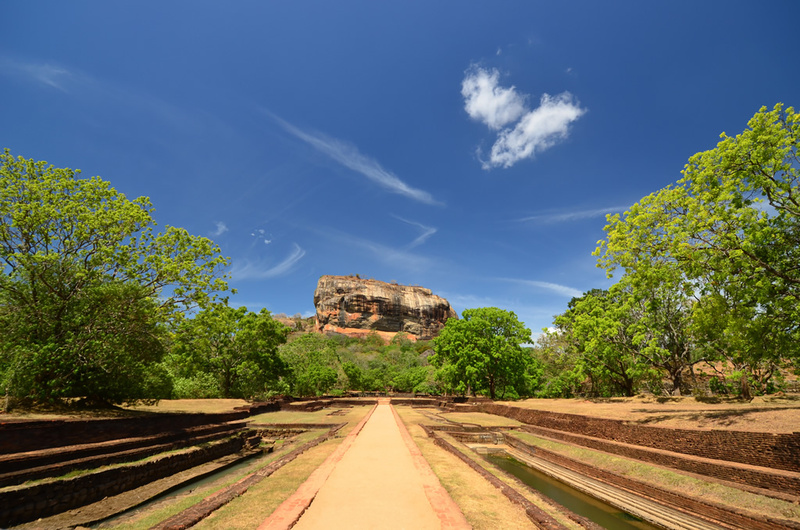 Sigiriya was once an incomparable centerpiece surrounded with beautiful lush gardens, fountains, ponds and colored pavilions. 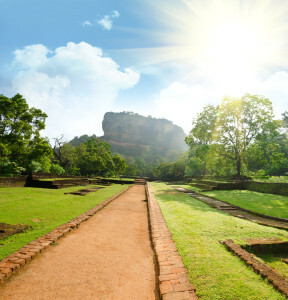 No historic tour would be complete if you still hadn’t climbed the Sigiriya rock fortress which consist approximately 1200 steps. Climbing the rock, you will experience the its enormity blended with breathtaking architecture. The view from the top would elaborate King Kassapa’s visions and the skills of the architects 1600 years ago. Climbing the rock can be strenuous but never difficult. We promise you that it’s all worth it!